THE National Economic and Development Authority (Neda) recorded the Cordillera Administrative Region as having the highest regional growth rate among 17 regions in 2017 with a 12.1 percent gross regional domestic product (GRDP) in 2017. Neda Director General Ernesto Pernia who was in the city to study the potentials of Loakan airport pointed out to the rich natural resource of the region, aside from the region being a unified administrative region. “There were better vision on economic policies and other measure’s for development and closer cooperation. Also tourism has been a major distributor in the economic growth of the Cordillera including manufacturing and construction which were the strongest drives of the performance of the region,” Pernia said. The growth was faster than the 2.3 percent growth in 2016 attributed to the double-digit growth of industry, particularly manufacturing and construction subsectors. Agriculture, hunting, forestry, and fishing recovered from a 4.5 percent decline in 2016 to a 5.1 percent growth in 2017. The growth was mainly attributed to the agriculture and forestry subsector which bounced back to 5.2 percent growth in 2017 from the 4.8 percent drop in 2016. “The problem of agriculture sector is that it is a feeder sector. When the agricultural sector is not good, then it affects performance and manufacturing as well because it feeds raw materials like other agricultural products that go into manufacturing like food processing for example, it is very dependent on agriculture,” Pernia said. Pernia envisioned that if 2018 has not been easy for the country, 2019 will also be full of challenges as well adding global growth is expected to slow down and views the external environment to be seemingly least supportive of the countries potential economic growth this year. 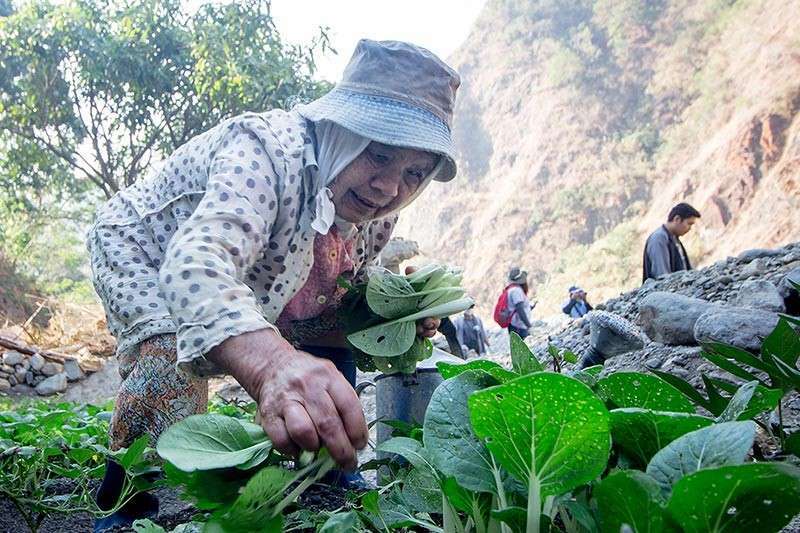 The Neda-Cordillera noted a good weather, the major consumption of the vegetable sector, and a strong business process outsourcing (BPO) as the main contributors for the region’s top performance in regional growth rate. Pernia also assured Cordillera’s involvement in the administrations build-build-build program which will help strengthen the economic interconnection of the region with other regions. “DPWH has shown the amount of construction going on for improving roads, paving the previously dilapidated roads and even creating new roads in the Cordillera. And that’s because the Cordillera have been neglected in terms of road transport network which DPWH is trying to make up for past neglect. It will definitely be part of the build-build-build,” Pernia added.